Allyn Cadogan. Photo by Gary S. Mattingly. Part of the faannish trio who founded Corflu, Allyn Cadogan died of liver cancer on April 16 in Tucson, AZ. The fanzine fans’ convention was the margarita-inspired idea of Cadogan, Lucy Huntzinger and Shay Barsabe during an evening in 1983 spent lamenting the marginalization of fanzine fandom at the big conventions. They held the first Corflu the following year in Berkeley. Prior to moving to the Bay Area, Cadogan was an integral part of Vancouver’s vibrant fan community — editor of the local club’s BCFSAzine (August 1976-September 1977), and treasurer of Westercon 30, held at the University of British Columbia in 1977. In 1977, Allyn Cadogan, Susan Wood, William Gibson and John Park also released the first two issues of Genre Plat, which Cadogan continued to publish solo once she set down in San Francisco. What seemed a supremely important piece of esoterica in those days was the source of the title, a reference to a box of Kaybee toothpicks with a bilingual label saying “Flat style” in English, and in French, “Genre Plat.” Those of us who knew no French at all felt it added to the zine’s Canadian mystique. 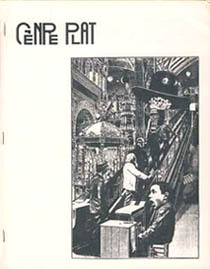 Genre Plat was that rare fanzine able to maintain a faanish atmosphere while paying a great deal of attention to science fiction. 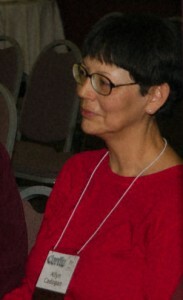 The 1978 issue featured Cadogan’s interview of Kate Wilhelm at Westercon 30. 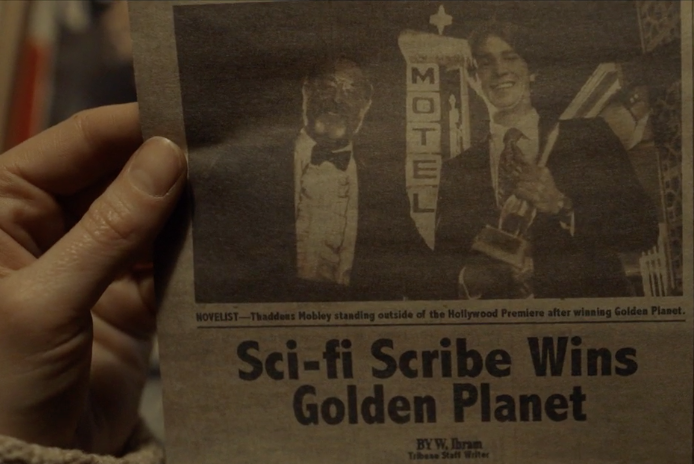 Gibson had just sold his first short story in 1977, but was a few years away from hitting the big time, meanwhile wrote sercon for Locus and SF Review. Susan Wood, then a professor at the University of British Columbia, was actually the best known of the editorial quartet, winning the second of her three Best Fan Writer Hugos the year the zine began. Cadogan would be associated with a more distinctly faanish zine when she co-edited Convention Girls’ Digest with Sharee Carton and Lucy Huntzinger in the 1980s. And along the way she also produced several issues of Bunnies, Zucchinis, & Sweet Basil. The Cadogan-Huntzinger-Barsabe trio, before founding Corflu, produced the Emperor Norton Science Fiction Hour, a public-access television program in San Francisco during the late 1970s and early 1980s. In the mid-1980s she was married to Karl Mosgofian for awhile and the couple had their own company, Asta Computer Services. She was wickedly funny, generous, enthusiastic, artistic, smart as hell. She was a very good friend. By Martin Morse Wooster: This is from an interview with William Gibson in the summer 2011 issue of The Paris Review. Expletive censored by me. GIBSON: “A woman named Susan Wood had come to UBC (the University of British Columbia) as an assistant professor. We were the same age, and I met her while reconnoitering the local science-fiction culture. In my final year she was teaching a science-fiction course. I had become really lazy and I thought, I won’t have to read anything if I take her course. No matter what she assigns, I’ve read all the stuff. I’ll just show up and b*llsh8t brilliantly, and she’ll give me a mark just for doing that. But when I said, ‘Well, you know, we know one another. Do I really have to write a paper for this class?’ She said, ‘No, but I think you should write a short story and give it to me instead.’ I think she saw through whatever cover I had erected over my secret plan to become a science-fiction writer. How many points do I get for finding ’70s fan history in an “Art of Fiction” interview in The Paris Review?